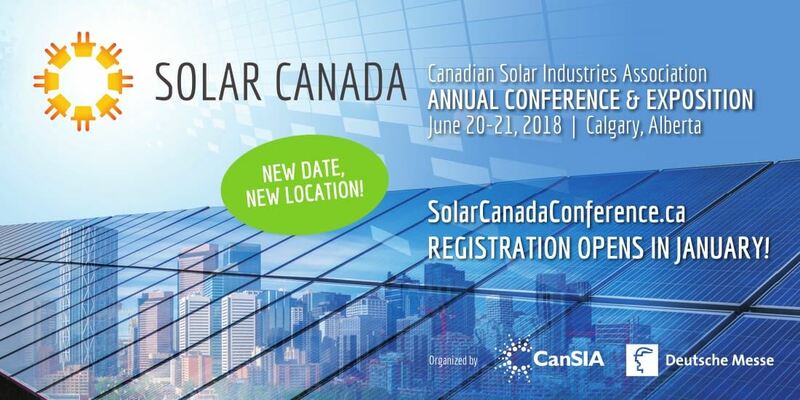 Solar Canada is the Canadian Solar Industries Association's Annual Conference and Exposition. It is the solar industry event to attend in Canada. Learn how policy and regulatory markets are changing across Canada, creating new opportunities and challenges. Discover how consumer driven demand for renewable energy is driving new business models. Hear from the experts, from Government ministers to established industry leaders to new start-ups. If you do business, or want to do business, in Canada, this is the only exposition of its kind in the country. **Register by April 4 and use the promo code EARLY80 to get $80 off full conference regular and member rates.